With the release of ‘The Simulation Hypothesis’ ends the ‘Dazzle Trilogy’ by ‘Alphamay’. But don’t worry, it’s just the end of conceptual storyline. We’re sure that Cris and Henning will continue making good Synth Pop albums like this one. It would be a great loss if this were really the last chapter of ‘Alphamay’. 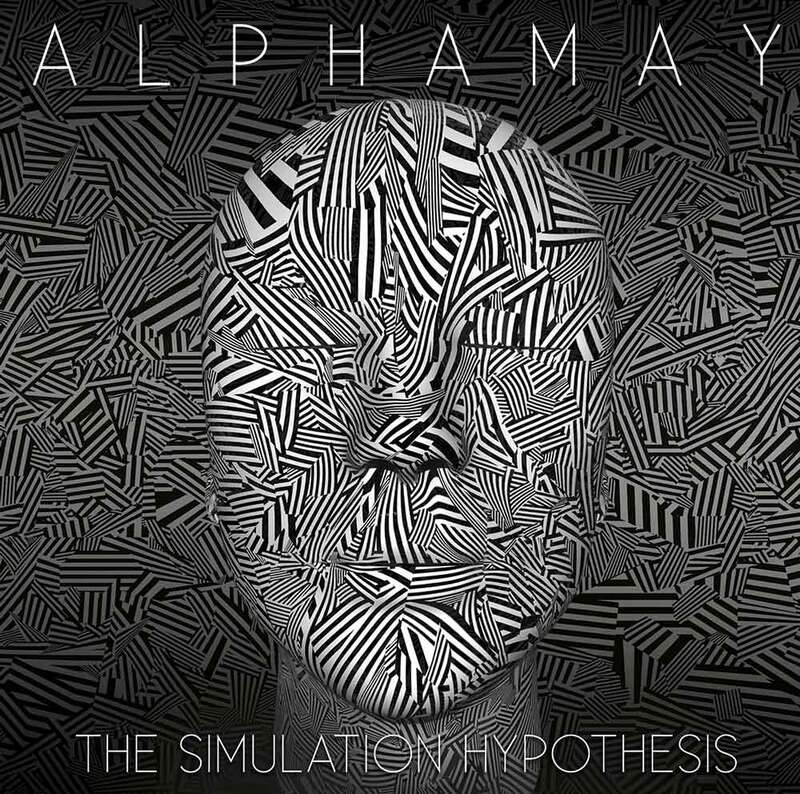 In consideration that we work a bit closer with ‘Alphamay’, through some Electrozombies tribute compilations (‘Apop We Love You‘ and ‘Prism‘), we already had a chance to listen to ‘The Simulation Hypothesis’ around 8 weeks before the official release. So we’d enough time to listen, enjoy and leave an influence to ourselves. Now the big question in this review is: “Will ‘The Simulation Hypothesis’ be the most successful part in the trilogy?”. 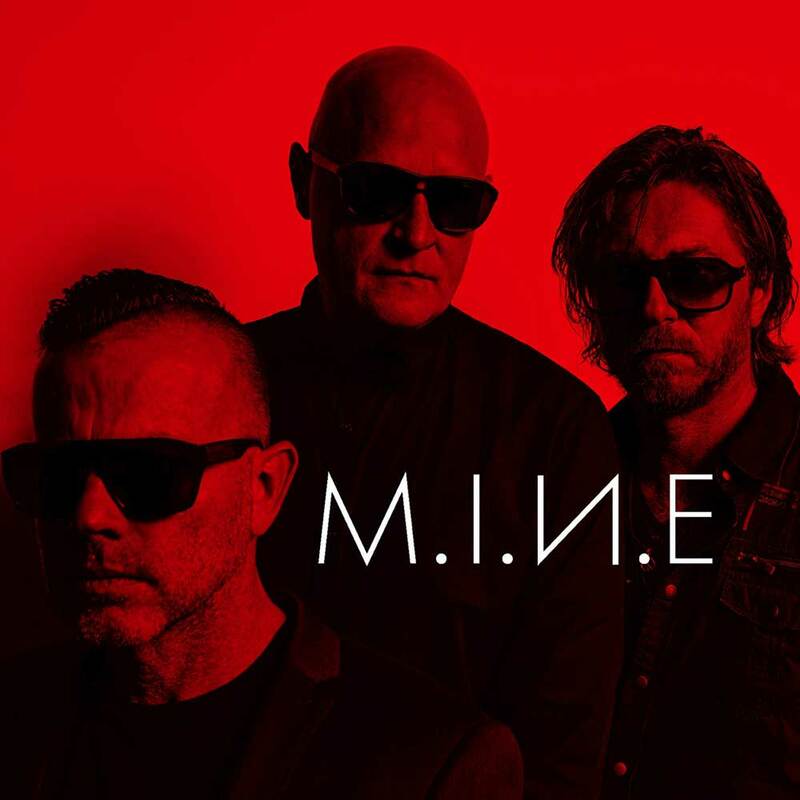 The opener ‘Missing Me’ is an awesome and powerful start for a Synth Pop album. The first track should usually show the direction and quality of what can be expected on the album. And in the case of ‘The Simulation Hypothesis’ this principle becomes true. I especially like this medieval sounding piano in ‘Missing Me’, which has already inspired me on the last ‘Project Pitchfork‘ album. 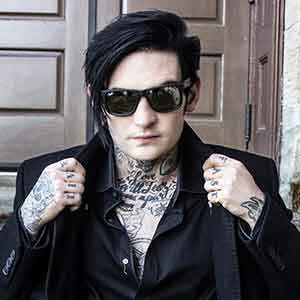 The first single ‘Decay Of A Dream‘ is a true flagship song. The sound of ‘Decay Of A Dream’ is a fun ride to listen. But in combination with the profound lyrics you get a result of what I called the ‘Pet Shop Boys Effect’. Which is the definition of a catchy and danceable sound with serious and thoughtful lyrics. And I love this kind of combination. More dark and grimy feelings awaits you with the track ‘Fractures Of Reality’. Early works of ‘Beborn Beton‘ is definitely the march direction. The song has a particularly high dynamic between verses and chorus. This creates a great tension in this play. ‘The Pilgrims Weep’ also runs electronically a harder course. The typical 90s influence of the EBM club scene can be clearly heard. Nevertheless, the number sounds wonderfully harmonious and melodic. The first measurable drop happens in the track ‘Flat Earth Flat Head’. Personally, I think it’s a bit pity that ‘Alphamay’ has taken the inflationary used quotes of the SciFi movie ‘Blade Runner’. Those quotes are so overused in the scene that they sound nowadays only like a platitude. I guess some fresher quotes about artificial life, androids or reality versus illusion would fit better in this song. But overall this doesn’t make this song to a bad one. What I really like in this song is that the chorus reminds me on some early works of ‘Front 242‘. 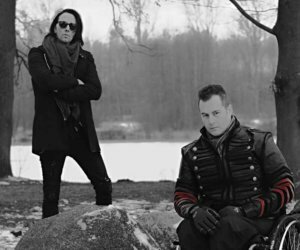 Almost euphoric comes ‘Suspended Animation’ on the album ‘The Simulation Hypothesis’. Here we have a track in the uptempo section that should work perfectly on live gigs and dance floors. We strongly recommend to listen also to this song if you need a sonical overview. The next highlight on the latest ‘Alphamay’ release is surely the song ‘Serenity’. The song is mainly driven by a typical early 90s bass line and drum beat. The chorus is like a catch phrase in an advertisement and has the attitude of an heroic saga. The last number is called ‘No Good Bye’. Maybe this is also the indication that this is not the last work of ‘Alphamay’. In the last act, a cold, modern sound leads us into a dark romantic setting. I think it’s one of the best songs on the album. The song clearly sets itself apart from all others. It’s very crisp, clear and minimalistic. An attribute that I find here particularly outstanding and hope that ‘Alphamay’ further developed in this direction. First, I can say that ‘The Simulation Hypothesis’ is much stronger and more varied than its predecessor ‘Twisted Lines‘. If you’re open-minded in Synth Pop music with new vibes than you should absolutely give this album a try. 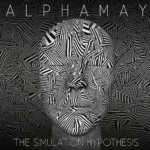 Even though the album contains a few mediocre tracks, we’re convinced of the latest release of ‘Alphamay’ and looking forward to a bright future of this awesome band. 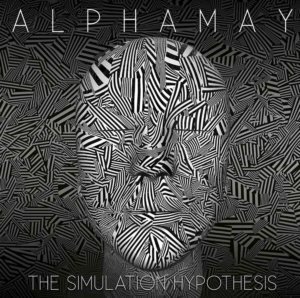 Support ‘Alphamay’ by buying the album and visit their gigs this year. We can definitely recommend the album.